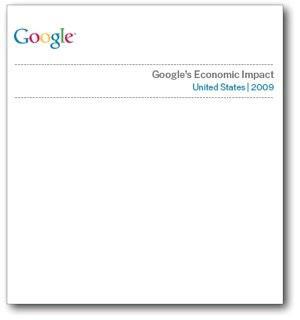 Google published the first ever “Google’s Economic Impact” report, which estimates that in 2009, Google generated $54 billion of economic activity for advertisers, publishers, and non-profit bodies in the United States. This is done using the AdSense & AdWords frameworks and delivered via paid search clicks, natural search clicks, AdSense revenue sharing, and Google Grants aka charitable donations. The report reveals that Google’s US revenue in 2009 was $11 billion; the $54 billion figure is Google’s computation on how much value Google creates for its partners. The methodology http://goo.gl/dj9B used therein is quite a pioneering one, given that this is the first time that someone is attempting to assess the economic impact of online ads at this scale : the whole internet and who else is better qualified than Google to attempt this. This is an interesting report, the implications of which will be felt more and more in the years to come. If we reason out that search engines (Google)are in many senses replacing displacing traditional media ad spends, it may be difficult to agree with Google’s $54 billion estimate for its direct economic impact but we have to concede a few things. This is a new growing media, the media, by nature brings in more participation from new class of users and one that may be potentially more ready to spend and the flexibility this provides to advertisers – they can cap daily ad spend and can look at in realtime extending or suspending ads based on clicks and reach. Google’s report primarily depends on the assumption that clicks on natural results drive five times as many leads for businesses as clicks on paid results. However, we believe the indirect impact may be much much more. 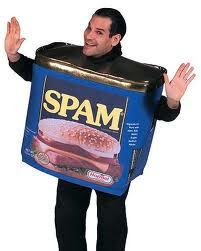 – Google assumes that people clicking on links are as inclined to purchase. Any benefit from link clicks has nothing at all to do with having ads. The two are separate events, and a company gets the benefit from search engine optimization and all the work of having a Web site, rapidly increasing the effective cost of using the ads. – As the Jansen and Spink study states, “More than 80% of web queries are informational in nature and approximately 10% aretransactional, and 10% navigational.” This may lead one to think that the vast majority of clicks need not convert into sales (this is understandable) and so the impact may be less than what is assumed herein. Thinking deep, it occurs to me it would be tough to embrace or discard Google’s estimated multiplier effect .As noted earlier, Google calculates the advertiser impact of its search service by assuming that for every dollar spent by an advertiser, the advertiser generates one dollar in “sales minus marketing expense” from consumers clicking on the purchased search result, and a further seven dollars from consumers clicking on natural search results for the same advertiser, creating an 8X multiplier effect. Google estimates that one dollar spent on search generates two dollars in advertiser sales via consumer clicks on paid search results. This assessment is centered on the methodology devised by Hal Varian, its Chief Economist, which in its core, assumes that advertisers are spending rationally to buy a certain keyword ranking rather than a higher or lower ranking, and then deriving the implied value which advertisers place on a click. I would think that this resonates well with my intuitive reasoning. Google estimates that one dollar spent on search corresponds to seven dollars in advertiser revenue via consumer clicks on natural search results. Ideally , Google should have attempted a Lifetime Value assessment to derive the economic impact but rightfuly chooses to center these on transaction basis given the characteristics of the internet media and its limited lifespan. I talked to a few power users of these services (corporate and SMB) and find that for many interenet centric revenue generators, the proportion of their online centric revenue coming out of search engines on an average hover around upwards of 20% in their established and growing phase of business. The informal estimates from such sources point to 40-20-40 ratio – direct traffic,keyword centric and natural search referrals. For startups and early life enterprises, the ratio could be 25-35-40 pointing to a near 6X ratio. The swing across the range hovers between 4x to 6x ratio. Without search engine, Google acknowledges advertisers would find other means of reaching consumers. We have to concede that search engines are not just merely capturing existing consumer spending rather they stimulate additional consumer spending(any online purchaser can vouch for this – they tend to buy more , owing to the dramatic increase in efficiencies and the smoothness of the operation). To be fair, Google’s true “economic impact” on a community should likely be measured in a way that balances the economic patterns it disrupts with the new-model of business it generates. Online ads and Google being the dominant player there are directly influencing the sale and retail mechanisms in a big way and are bound to increase their influence and hopefully, we will see the economic impact assessment methods improve a lot more along with the results.